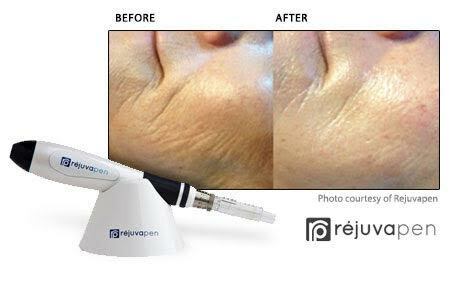 Micro-Needling – Enjoy less noticeable scars, wrinkles, stretch marks and more! Micro-needling provides unparalleled collagen induction therapy. The micro-injuries to the skin encourage and harness the power of the body’s innate ability to regrow and repair the skin through the physiology of collagen induction. Before and after photos are typical of a series of treatments where patients experienced 4 to 6 treatments over the space of 2 to 6 months. Each before and after treatment is performed 4 – 5 weeks apart. Micro-needling offers a solution for all skin conditions that clients might seek treatment for: wrinkles and fine lines, acne scarring, stretch marks, wound healing stimulation, skin tightening, lifting and rejuvenation. How is microneedling with PRP done? We isolate growth factors from your blood by drawing it from your arm (just like getting blood work done). Then, using a centrifuge, we isolate platelets from your blood (PRP) which only takes about 10 minutes. Then, we will use micro-needling to create multiple micro-punctures –both driving the isolated growth factors into the skin & creating stimulus for tightening and rejuvenation of the collagen of the face. 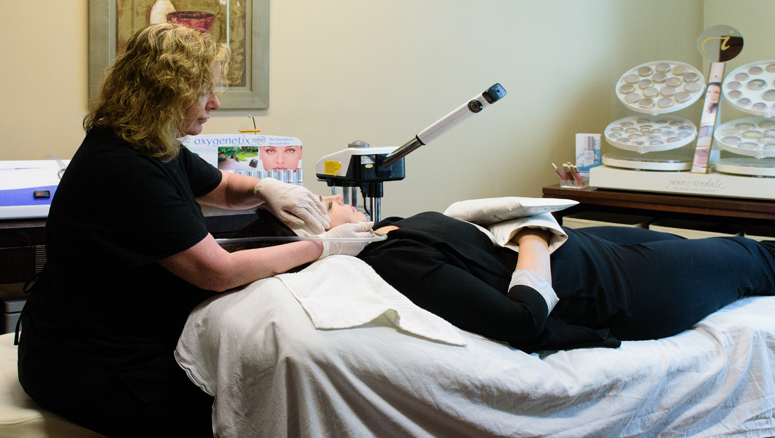 Last, we will paint your growth factors onto the micro-punctures so that they can soak into the tissue for further stimulation of tightening and skin rejuvenation. Your results? The skin tightens, and glows with color, and scarring softens for a beautiful, younger and very natural result. ESANA is dedicated to providing outstanding solutions for all skin types and skin colors. We offer the world’s most advanced skin micro-needling device which has proven to provide successful treatment of wrinkles, fine lines, acne scarring, stretch marks, wound healing stimulation, skin tightening, lifting and rejuvenation.